7-910-13Develop your teamwork skills as you learn to dribble, pass, and shoot! Boys and girls are welcome to join this camp to learn the basic rules of the game. 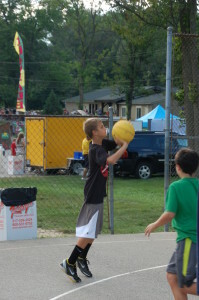 You will spend time improving your skills on an indoor and outdoor court. Please bring a separate pair of gym shoes to be worn on the indoor basketball court only. 7-9Cheer camp is for enthusiastic and energetic girls! In this camp, you will learn and create basic cheer routines and basic tumbling. You will also make your own pom-poms to use while practicing at camp and home! 7-910-13Run, run, and run some more! This camp utilizes Camp Indy’s beautiful 98 acres and is great for training and conditioning for any sports or other team games. This will be what you need to improve your time, better understand your body, and have fun doing both! Cross country camp is open to both boys and girls. 7-910-13Spend the week tossing around the old pigskin in a safe, non-contact environment. You will learn to use skills and techniques while playing normal flag-football and other football related games. Most of your playing time will be on the camp field. 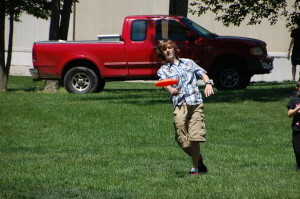 10-13This camp is designed for campers who want to learn to play a variety of games using a Frisbee. Enjoy playing Ultimate Frisbee, Disc Golf, and Disc Baseball. You will also learn different techniques and skills on how to successfully throw a disc. 7-9Parallel bars…pommel horse…rings…trampoline….Each day campers will travel off campus to Dana Mannix gym to get a taste of what it is like to be a real gymnast. Younger campers will begin with tumbling and other mat work. More experienced gymnasts will improve on techniques they’ve already learned as well as learning new ones. This is a girls only camp. The cost of this camp is $215. 7-9This camp is for those interested in all kinds of sports. You will learn rules and techniques for both traditional and non-traditional sports and games such as basketball, volleyball, soccer, and many more! 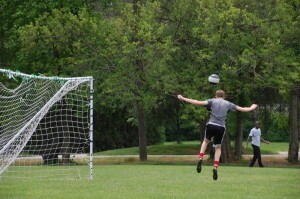 7-910-13Learn to dribble, pass, and score on Camp Indy’s soccer field. 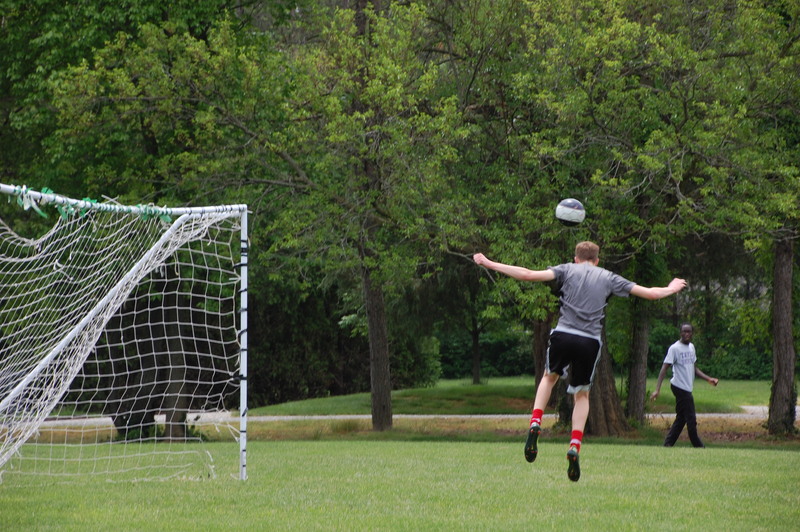 You will want to bring your shin guards and soccer ball. Develop teamwork and learn fundamental skills needed as you play games daily. 7-910-13This camp is a fun way to learn and develop basic volleyball skills and techniques. You will spend time in our indoor gym learning to bump, set, and spike as well as playing games. Bring your knee pads, athletic clothes, a pair of gym shoes to use in the gym only, and a volleyball.